Are you using Zomato yet? 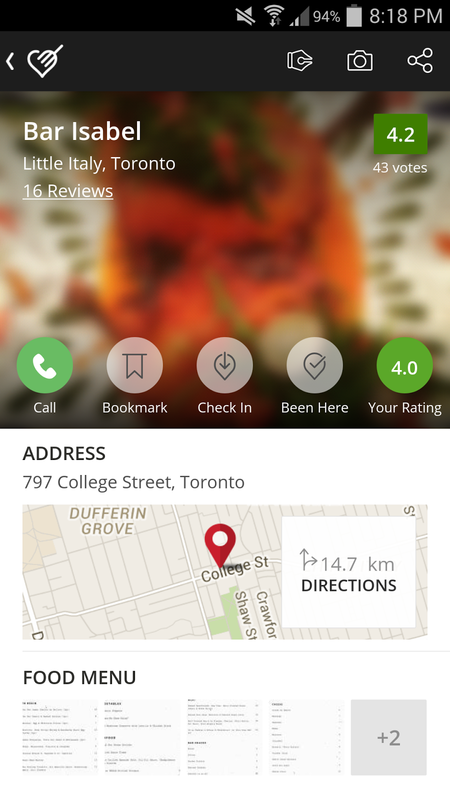 Zomato (Twitter: @Zomato, Facebook: Zomato), the popular online and mobile restaurant search and discovery service, has finally made its first push into North America last month in - you guessed it - Toronto! Currently present in over 100 cities serving over 30 million monthly visitors globally, users of Zomato can access the website and mobile app to search for places to go out for a meal, get home delivery, catch up at a cafe, or enjoy the local nightlife. 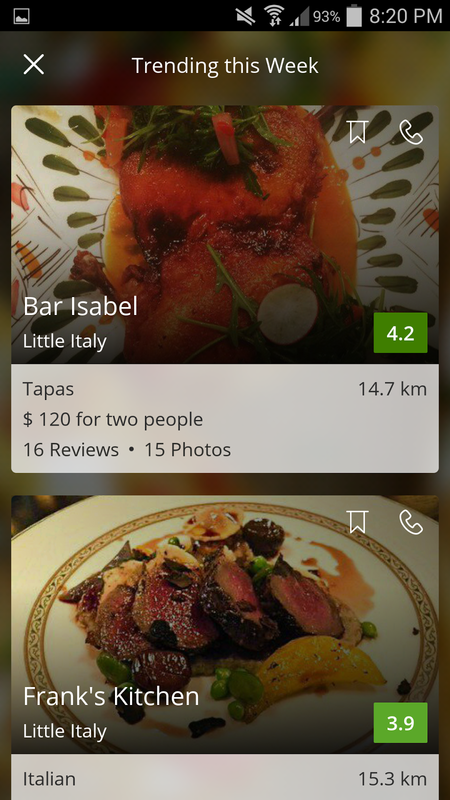 Zomato's core content features include menus, photos, and geocoded coordinates for restaurants; users can rate and review restaurants, as well as create their own network of foodies. 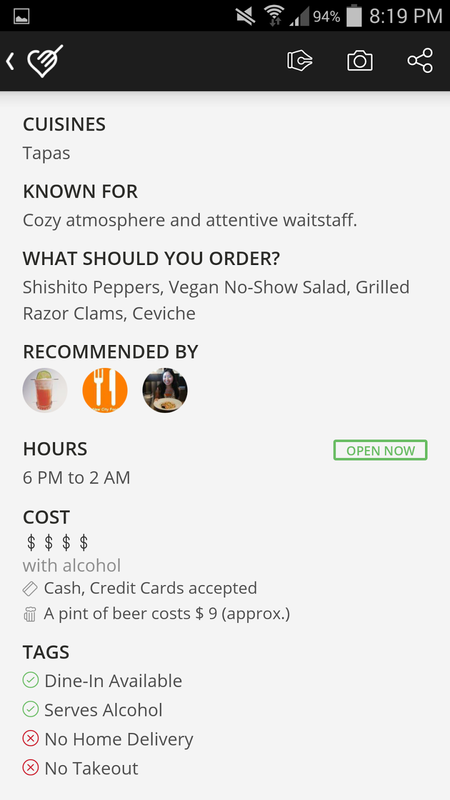 Providing in-depth information for over 11,000 restaurants in the Greater Toronto Area, one can browse through restaurant information, read and write restaurant reviews, share pictures, and build a personal network of people whose opinions they trust. 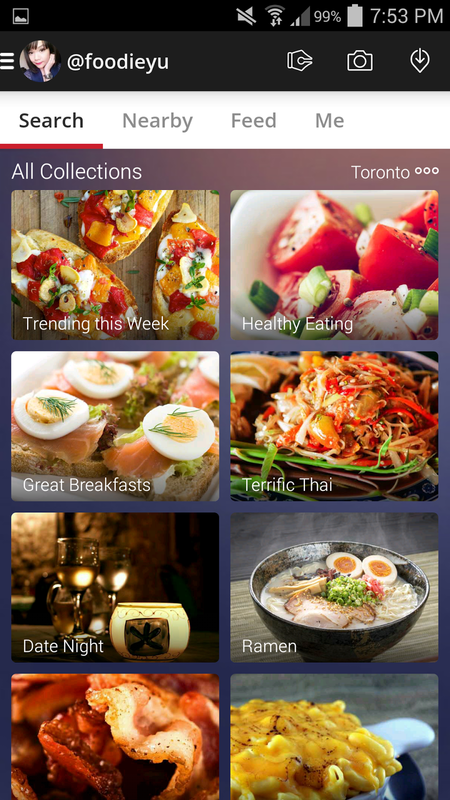 Zomato’s award-winning mobile app allows users to discover restaurants around them based on their physical location, in addition to providing information for all restaurants in the city. To celebrate the launch of Zomato in Toronto, I'm giving away a $100 gift card, courtesy of Zomato, to one lucky winner of this contest. The $100 gift card can go towards a restaurant of YOUR CHOICE. Have a restaurant that you've always wanted to try but is out of your price range? Or having trouble figuring out where to take your foodie friend for his/her birthday? Or you simply want to splurge on yourself because you're just that amazing? Whatever the case may be, here's your chance! 4) Let me know in the comments section of this blog post your Twitter name and your Zomato name. That's it, you've now entered the contest! 1. Your tweet (i.e. extra entry to the contest) is valid only if you have completed steps 1 to 4. 2. You may tweet the above up to three times a day for the duration of the contest. Each tweet counts as one extra entry. Re-tweeting others do not count as an entry. 4. Restaurant of choice has to be located the Greater Toronto Area. Contest starts on Monday, November 24th and ends on Monday, December 1st at 12PM. One lucky winner will be chosen randomly from www.random.org and I will announce the winner on Wednesday, December 3rd.